Threaded rods are also, generally referred to as studbolts or connectors. 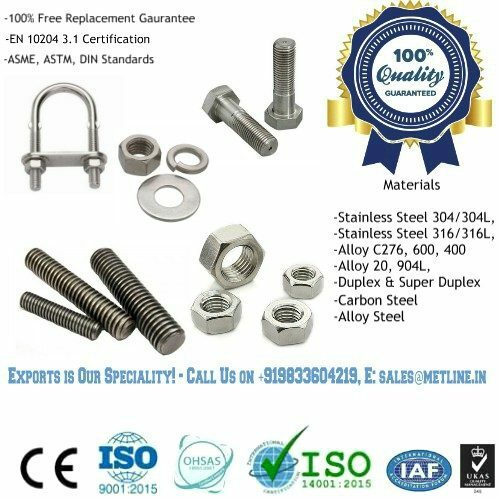 Upon your request we can manufacture Inconel 718 threaded rods of the dimensions exactly according to your requirements. 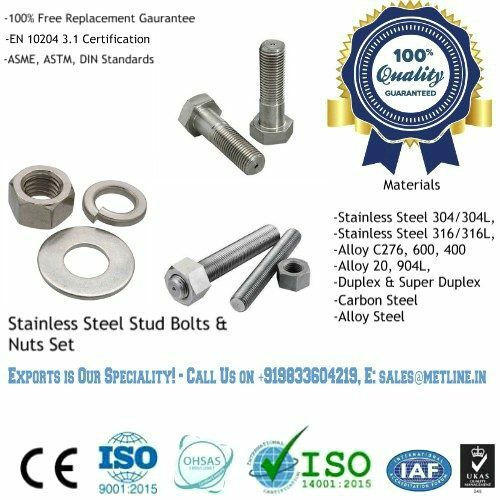 These may for example include threaded rods according to DIN 976 or DIN 975 and other dimensions or tolerances of the thread in various sizes, lengths and from various materials. We are producing the Inconel rods by thread rolling. 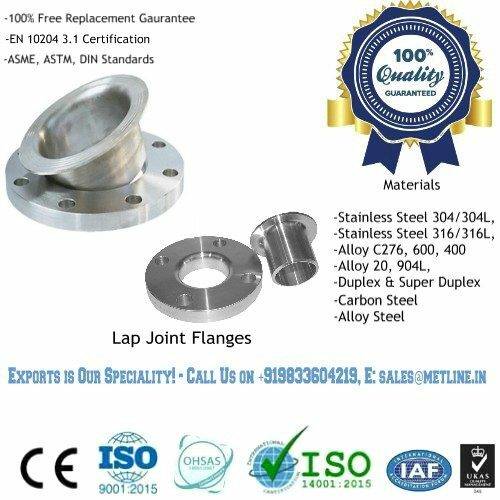 Rolled threads has main benefits such as the increase of strength by means of cold forming, very good surface roughness values, high dimensional accuracy and many others. 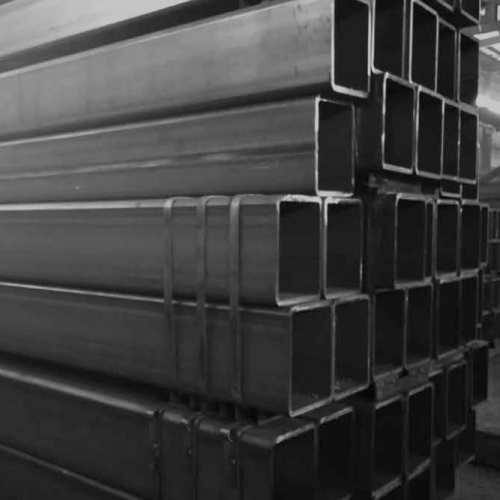 Metline is a full line manufacturer of Inconel 718 threaded bars in accordance with DIN, ASME, ASTM and ISO standards. 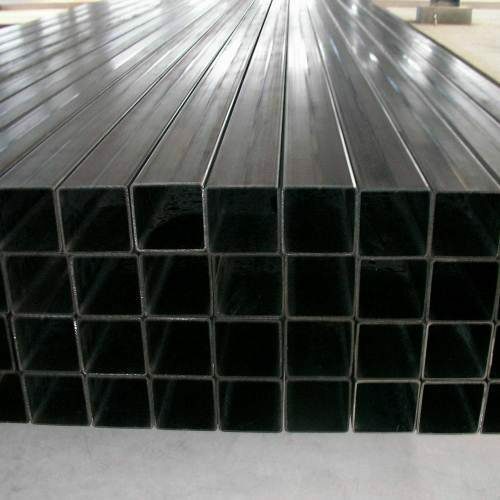 The most commonly used Inconel Alloys for manufacturing threaded bars and rods are Inconel 600, Inconel 625 and Inconel Alloy 718. Metline is a professional manufacturer and supplier of Inconel 718 threaded bars/rods with nuts and washers. We offer hot forged Inconel 718 threaded bars and nuts up to 2″ Dia, and custom length. 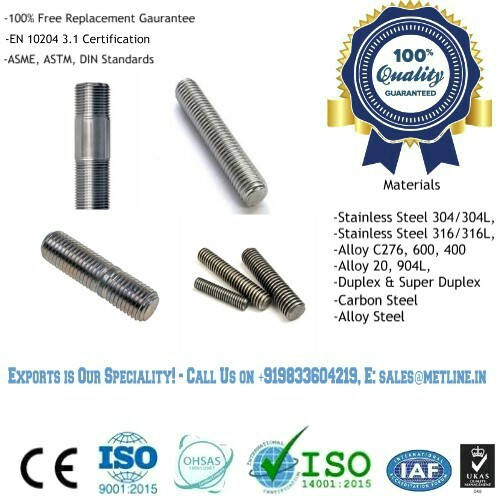 Our CNC machined Inconel threaded rods can be offered in sizes upto M100 / 4” Dia in custom lengths.